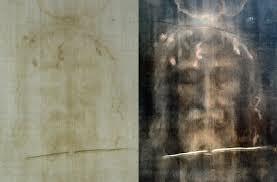 Refining a model: children’s ‘invisible ink’ trick with lemon juice allows thermal imprinting (“scorching”) at a much reduced temperature | Is the Shroud of Turin really some kind of supernatural photographic 'selfie'? ← OK, so there is bilirubin in the Shroud bloodstains (or so we are told). But how much precisely? This is a holding post. I’ll add the details later. For now, it’s a case of one picture being worth a thousand words. 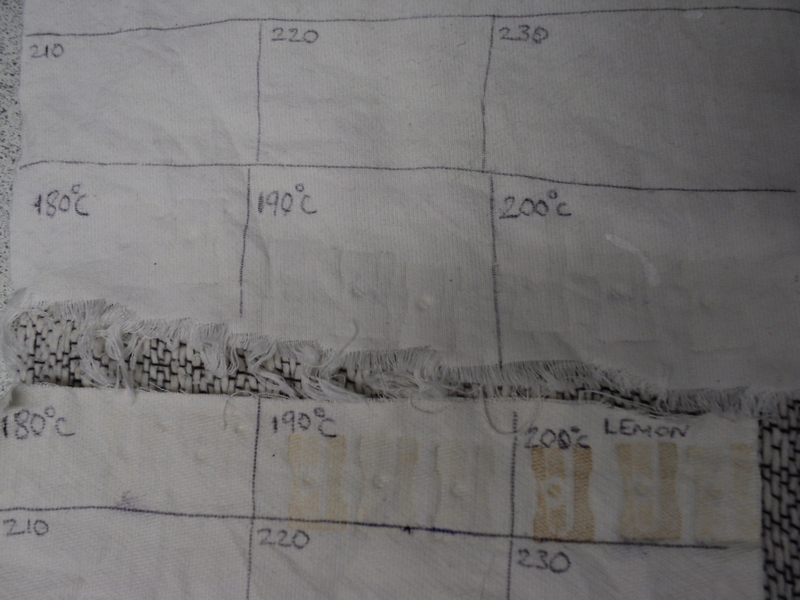 Lower linen sheet: impregnated with lemon juice, then dried overnight in air at room temperature. Two metal templates were used ; an aluminium pencil sharpener, and a bas-relief trinket. 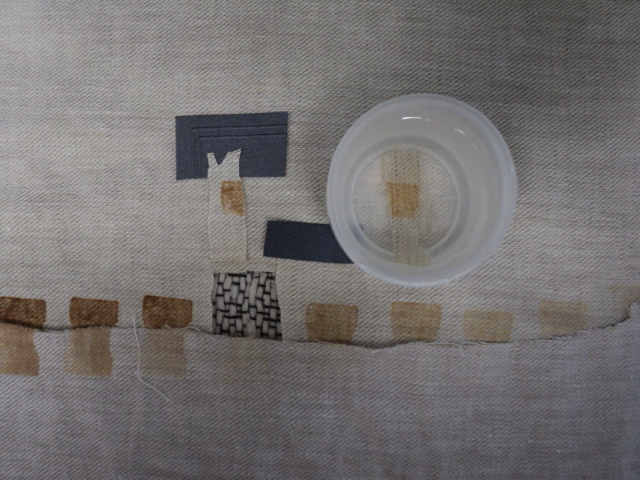 Actually, what this experiment shows is that a more intense image is obtained on the impregnated linen than the control, untreated linen, for heated metal templates at the same temperature. You will have to take my word for now that images can be obtained at lower temperatures on the impregnated linen with scarcely if any image on untreated linen. A recent paper (pdf) reports that lemon juice can produce a brown coloration on glass as well as linen, i.e. that no chemical reaction with linen constituents is needed to explain the “invisible writing” effect. Incidentally: this result was predicted in a comment I made in reply to Matthias this morning in regard to fluorescence. It’s always good to have one’s predictions confirmed. It gives one confidence that one is doing something right. (Important, given the number of mean-spirited detractors out there who think nothing of demeaning one’s scientific competence and/or credentials). Other news: I have responded to Thibault Heimburger regarding the macroscopic aspects of his scorching experiments. Microscopic aspects will be the subject of a second instalment, probably tomorrow, the writing of which will be aided by today’s result. Kelly Kearse has confirmed my hunch that Alan D.Adler did NOT have hard data to back up his claim for an “extraordinary” amount of bilirubin in the Shroud’s bloodstains. One is now entitled to ask whether he even detected ANY bilirubin by anything other than a spot test, far less quantify it.. I shall say more about this entire bilirubin fiasco – A LOT MORE – in due course. Apologies for the terseness of this post. I have had to write this in a hurry, and will be away from my laptop for most of the day. Afterthought: I have now come full circle. My very first posting (Dec 30 2011 on my sciencebuzz site) described the use of a thermosensitizer (charcoal) to make possible scorching-by-infrared radiation at a distance (sizeable air gap). But I dropped that radiation model when I realized (or rather had it pointed out to me) that the image was not a Shroud-like pseudo-negative. That was my reason for dropping radiation, and looking at scorching by direct contact/heat conduction instead. And now I have a thermosensitizer for the conduction model – plain old lemon juice. I shall naturally be testing some other well-known invisible ink recipes, e.g. sodium carbonate. Here’s more evidence that the temperature for producing a visible scorch is considerably reduced using linen that has been impregnated with lemon juice. Previously I had to set my fan oven to its highest setting (250 degrees C) to get barely visible scorching with a heated template pressed onto untreated linen. Here, there is visible scorching at 190 degrees C, well below the reported pyrolysis temperature (220 degrees) of even the most sensitive linen constituents, ie. the hemicelluloses. Effect of heating lemon juice on a glass surface in air oven, temperature approximately 190 to 200 degrees C. (The Pyrex glass dish is resting on the metal rack). We now have to consider the interesting possibility that a medieval forger, cognizant of the ‘invisible ink’ effect, might have impregnated some linen with citrus fruit juice (or maybe some other acid/sugar combination) and been able to thermally imprint an image from a suitable template (metal? ceramic? plaster of Paris?) at a much lower temperature than that required using untreated linen. 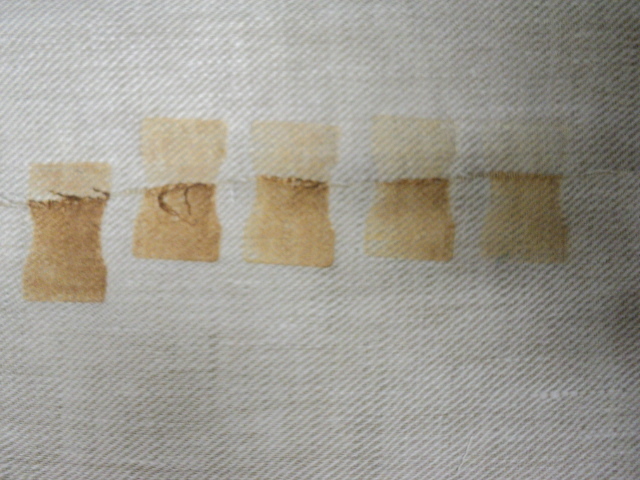 Is the Shroud image really modified linen carbohydrate or a coating that has become caramelised? Shades of Raymond N.Rogers, and his ‘impurity coating hypothesis’ but my model still incorporates the template/scorch model to account for that highly superficial negative image, concentrated mainly on the most superficial parts of the weave which rival models struggle to explain (Rogers with his migrating sugars) or which simply ignore (all the radiation models) …. Lemons entered Europe near southern Italy no later than the 1st century AD, during the time of Ancient Rome. However, they were not widely cultivated. They were later introduced to Persia and then to Iraq and Egypt around 700 AD. The lemon was first recorded in literature in a 10th century Arabic treatise on farming, and was also used as an ornamental plant in early Islamic gardens. It was distributed widely throughout the Arab world and the Mediterranean region between 1000 and 1150. The first substantial cultivation of lemons in Europe began in Genoa in the middle of the 15th century. So, lemons would have had a great novelty value in the Arab and Mediterranean world in the medieval era. At some point, invisible writing with lemon juice would have been discovered by accident. Did that put the idea into someone’s head to create a unique artefact? Was that someone successful beyond his wildest dreams? Templar, Holy Land connection? Even the Vatican( or at any rate, Vatican researcher) is now suggesting that the Shroud was in the care of Templars, they who helped finance the last Crusades, prior to its first showing by the knightly De Charny family in Lirey approx 1355. It’s almost two years since I reported this experiment, which went down like the proverbial lead balloon when news of it reached a certain pro-authenticity shroudie site. To say the reception was derisive would be an understatement, but that was not the chief reason this experimentalist dropped the ‘lemon juice’ model, about which more later. For now, let’s leave it at saying that all the current revisiting of old, allegedly discarded ideas re the TS image having been ‘painted-on’ made me re-think the possibilities of painting-on an image with a stiff paste of lemon-juice (or something chemically similar) and then heating to produce/develop the ‘invisible ink’ effect. The first thing to do was confirm my previous finding, with better photographic recording of the outcome, which I have just this minute done (successfully I’m relieved to say). As before: serial scorch imprints from a heated metal template, going hottest (left) to coolest (right) as the template lost heat to the linen. 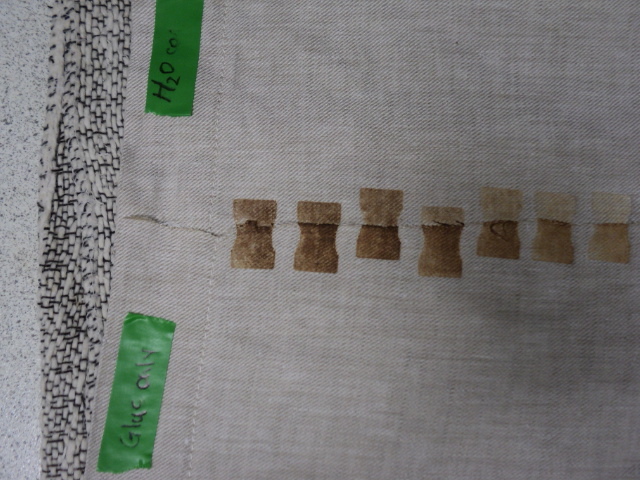 Top half: linen impregnated with lemon juice, then air-dried. Lower half: water-soaked control, air dried. Both then overlapped and imprinted simultaneously with a heated metal template. 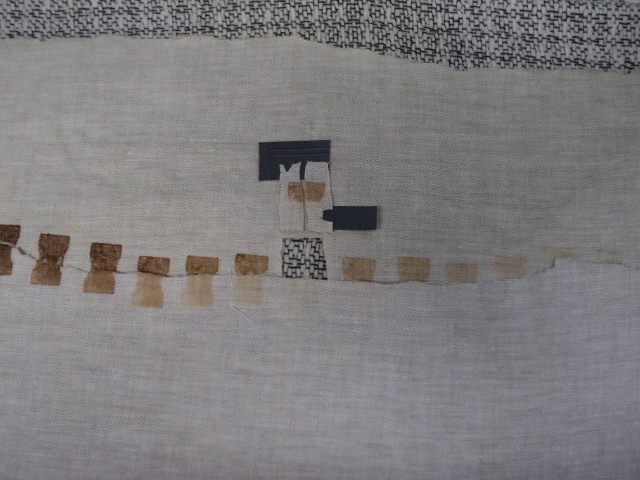 The black regions are added to provide a background against which it’s easier to see the linen. Note that the lemon-juice impregnated top half could be scorched by the cooling template at a temperature (undetermined) that scarcely affected the water control. The scorched experimental (top half ) was then bisected with scissors to see if the scorch pigment could be dissolved out with water. The little notches were removed with scissors to keep track of which was which (water v dry control). Here one can see that the scorch that was dependent on prior lemon-juice impregnation does NOT dissolve out with water. That suggests, does it not, that the linen fibres have been permanently and irreversibly etched by something in the lemon juice, at a temperature below that which scorches untreated linen? So what are the key ingredients in lemon juice that sensitize linen to scorching? Note added 30 Sep 2014: have had to delete all the following, having just discovered that one must NOT overlap two test fabrics. They must be edge-butted. Overlapping produces an excessively-intense scorch on the top layer? Why? Because in all my experiments I have routinely been using a damp underlay to prevent excessive scorching. If one introduces an extra layer of linen, as one does when overlapping, the protection from the damp underlay is largely lost, and one gets misleading results that make particular impregnating agents look better or worse than they really are, depending on which has the additional underlay protection. I’m glad I spotted this source of error sooner rather than later. All these experiments will now be repeated with butted edges, and the results will be reported on my sciencebuzz site. Preliminary findings: ability of lemon-juice to sensitize linen to ‘scorching’ off a heated template CANNOT be reproduced with citric acid and sugar(s), singly or in combination. Something else in the lemon juice is responsible, and it may be that it is a substance that becomes yellow or brown when exposed to heat, i.e. that the enhanced scorch is not entirely on the linen, but an imported chromophore. It may be necessary to change nomenclature, e.g. to refer to lemon-juice ‘tanning’ of linen. Glucose (lower half): glucose impregnation permitted scorching at lower temperatures. Upper half: H2O control, lower half: glucose impregnated. In situ caramelisation(?) of solid microcrystalline glucose results in a more intense scorch than that possible with untreated linen. It would appear that that the citric acid of lemon juice is not the agent that is responsible for increased sensitivity to scorching. It is glucose and/or other sugars, the latter still to be tested. Mechanism? Possibly (a) caramelization of the sugar or (b) less probably, a Maillard reaction between the reducing sugar and traces of protein. 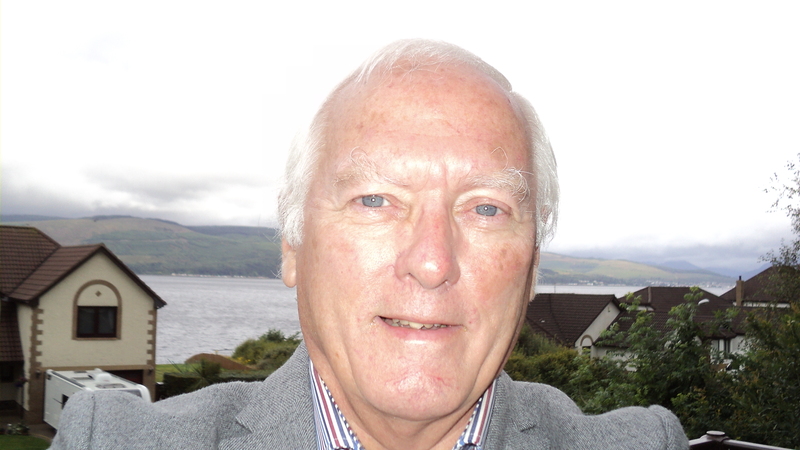 Sep 30, 2014: see my new posting on the invisible ink effect. 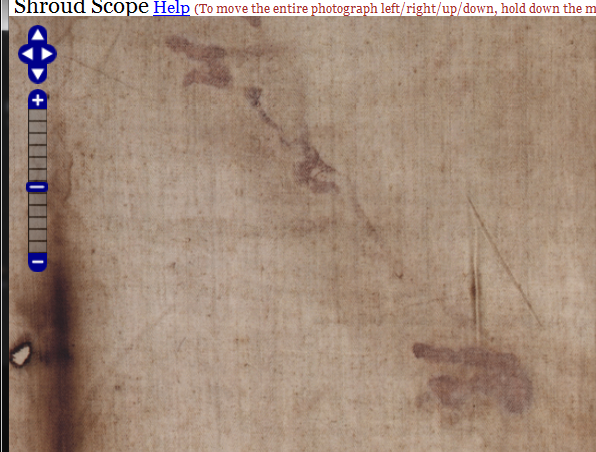 More on that enigmatic negative and superficial Turin Shroud image. Let’s not strangle at birth a possible working model based on invisible-ink technology. 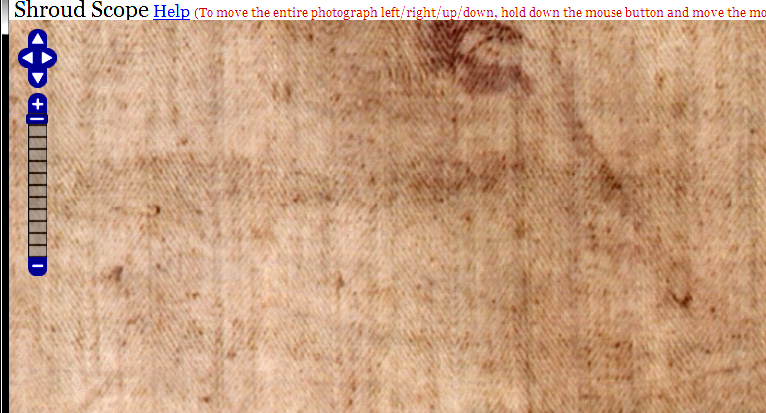 This entry was posted in medieval forgery, Shroud of Turin and tagged invisible writing, lemon juice, thermosensitizer. Bookmark the permalink. Is it temperature you’re concerned about, Rene, sufficient to make you go looking for these more complicated, dare one say exotic alternatives? If so, let me use this opportunity to say something important regarding my revised Model 10. In its original form, where heat was supplied by the fan heater on the back wall of the oven, I had to roast linen at a very high air temperature (180-200 degrees C) in order to get the flour imprint to turn brown. With revised Model 10, using the electric element (“grill”) in the top of the oven, the oven thermometer that records air temperature rarely rises above 80 degrees C while the imprint turns a dark golden-brown. In other words, the flour is being ‘cooked’ directly by absorption of radiant infrared energy. The air, being largely transparent to infrared radiation, is scarcely heated at all. So Model 10 has joined the ranks of “radiation models”, but with a difference. A corpse is not required to become incandescent, scorching an image onto linen across air gaps – fanciful thinking if ever there was. Thank you for you interest, and for sharing your thoughts (but for now I’ll stick with my own revised Model 10!). 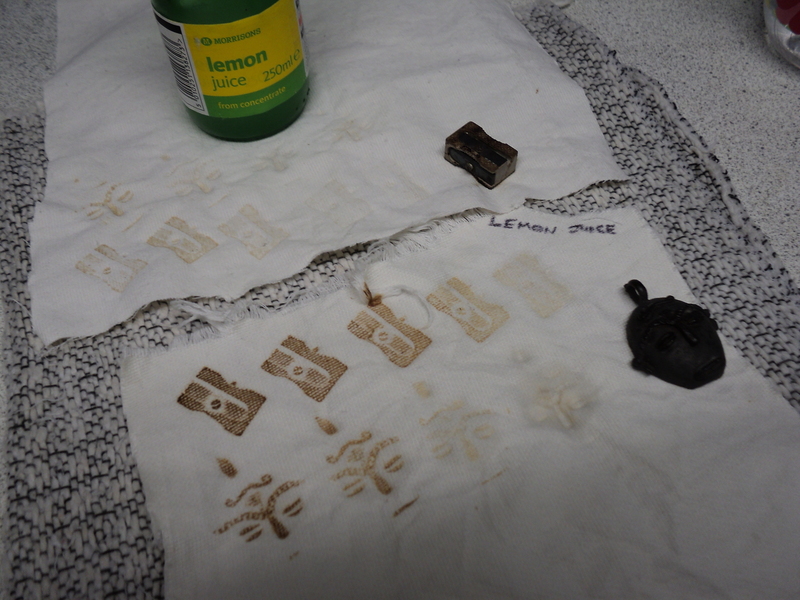 In case of thermal paper you use a leuco dye – in this story the lemon juice – and a developer. Still quite commen is Bisphenol A. Bisphenol A is in the news as it looks to be quite similar to a hormon and therfore skin contact is not good for our health. Very similar to a hormon…? In case using lemon juice with a hormon typically found in human body – could this hormon work as a developer? Some amide wax and other chemicals I would suggest could be found in balsam (or even coming from body itself) are used as sensitizer for the thermal paper – reducing the coulour developing temperature. Adrie, thank you so much for all your links, and the links within links they contain. Much of the information, although well advertised in general, I had not seen in detail before, and it makes very interesting reading. And some, especially your work, is completely new to me. 1) Smearing a bas relief in ammonia caramel and covering it with a sheet, or pressing it onto a sheet lying on a cushion of material produces less dimensionality than a scorch. The half-tone effect is very clear, with more or fewer coloured fibres per thread giving a lighter or darker image, and some fibres carry the image through to the other side of the sheet, but the 3D effect is so muddled by variations in pressure and ‘ink’ density at any particular place that the overall result is very un-shroudlike. 2) Soaking material in cornflour starch, rinsing and allowing it to dry, then pressing a hot template into it does not make a noticeable difference in colour from using untreated linen. Pressing sellotape hard over scorched material and peeling it off does not noticeably diminish the image, and I find no trace of removeable coating on the sellotape (although there is a fair amount of particulate matter). 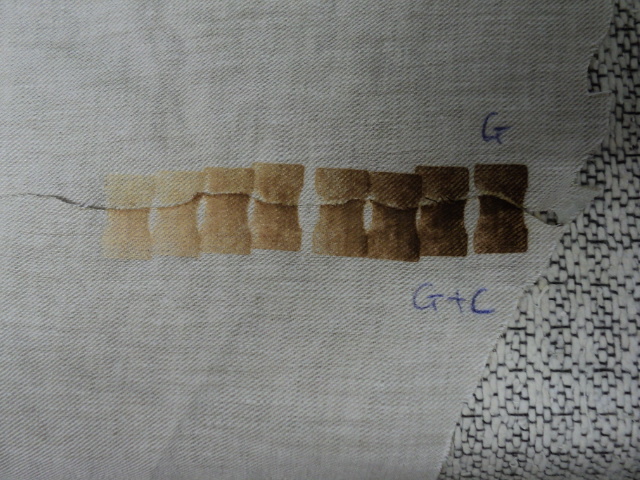 When you press sellotape over cloth and pull it off, the contact area remains in the sellotape as a regular pattern of deformed patches in the glue, basically a mould of the cloth. It was presumably on the inside of this mould that Rogers observed his discolouration layer, but I wonder how he knew that the fibre from which it came was now clear and colourless. Do you know if there are any photos of any of the slides of sellotape at, say, 25X magnification? We often see immense closeups, but apart from one of some of Reis’s samples at about life size, that seems to be it. As my own work is mostly done at between 25X and 200X, it would be interesting to compare them. “When the photoelectric data are convolved with the scotopic response curve and normalized (Fig. 9), it becomes obvious that the background linen itself is responsible for the measured response of the blood and image areas, since there is an identical wavelenght characteristic. This agrees with the visual description. The curve for scorches having visual reflectance corresponding to that of image areas shows only a light weighting toward the orange region relative to the curves for body image, although the color difference is obvious to the eye and in the fluorescence photography. The explanation might be that the eye has an excellent ability to distinguish between colour differences when compared side by side.” (Pellicori, Spectral properties of the Shroud of Turin, Applied Optics, Vol. 19, No 12, 1980, p. 1919). So, it is is not that the image formation should produce no fluorescence at all, it should only produce less fluorescence than it takes away. If the Shroud threads were wiped with starch paste at weaving just as you dabbed the linen with your finger, Hugh, touching only individual fibers, this might indeed explain some of the ‘half tone effect’ of the Shroud image. Oh my – you guys have gone into overdrive, and I’m suffering a degree of sensory overload at the moment, what with the fluorescence of this or that class of burn or scorch, and now these various coatings on the linen. The important thing is to stay focused on key essentials, or we’ll all get swamped in detail. Might I suggest that the Shroud’s negative image is the key characteristic that makes it distinctive, and since most are agreed that no artist of a pre-modern era would attempt to paint a negative, whether with sulphuric acid, lemon juice or gravy browning, then the most likely explanation is imprinting off a bas-relief or other semi-3D object. Was that done by applying some kind of pigment to a person’s face, obtaining an imprint then roasting, as per Garlaschelli, or was it obtained by direct thermal imprinting (“scorching”) off a bas-relief replica, like a Plaster of Paris death mask say, either with impregnated or unimpregnated linen (pyrolysed coating or pyrolysed linen?). Speaking for myself, I like the idea of pyrolysis being the main source of colour, since that would leave no easy-to-spot-at-100-yards artists’ or chemical pigments. But is it pyrolysed linen or pyrolysed additive or a combination of the two? The lemon juice system is a model if nothing else. Does a lemon juice image fluoresce? Is it reducible by diimide and decolorised? Does it strip off with adhesive tape more easily than a scorch on plain linen? Is it uniformly yellow, without “burned bits” (see Thibault’s new paper)? So, Hugh, if you like, you might read my article http://jesusking.info/Internal%20selvedge.pdf or the parts you think are useful now. Sorry, Colin, that I only mentioned VUV-light in the comment. Minimal scorching might do exactly the same. I posted my comment above before I saw yours of just now. Starting with the idea of sensitising the linen with lemon juice, I thought I’d try my soapy custard mixture as well (spatula of icing sugar, spatula of cornflour, a few scrapings off a bar of soap in a cup of water), and, for good measure, potassium hydroxide, and also ordinary salt (hoping the chloride might reduce the fluorescence). With these four specimens soaked for ten minutes, lightly rinsed and dried, I heated individual spatulas (so they all started the same temperature) in a flame for a measured 10 seconds, and then applied them for 5 seconds to my cloths. The custard cloth scorched about as well as untreated linen, the others more so, especially the potassium hydroxide one. All of them fluoresced. All showed more marked scorching of the upper fibres of each thread, and all transmitted some discolouration on the reverse of the cloth. So far so good. However, thinking about a purely surface layer of degraded carbohydrate led me to a bottle of gravy browning, with ingredients: Water, Ammonia Caramel, Salt, Citric Acid, Xanthan Gum and Potassium Sorbate, all good healthy ingredients that shouldn’t upset anybody’s spectrographic analysis. It’s a thickish goo, so I dipped one finger in, wiped it on a finger of the other hand, and dabbed a sample of linen. Brilliant. Discolouration only of individual fibres, darker in the middle where pressure is greatest and more fibres were touched, lighter at the edges where only a few fibres received a slight grazing. Some individual fibres conducted the colour along their length and round to the back of the cloth. This result led me to re-thinking painting. Leaving aside the stylistic arguments, everybody seems to be agreed that no artist could have painted the cloth, as the medium would have soaked through, the paint particles would be conspicuous and it would have been impossible for him to paint individual fibres, leaving others completely untouched. This is not necessarily true. Get a felt-tipped pen and scribble lightly on some cloth, or a finger wiped with goo and dab on it, and look (under a 25X microscope) at what turns up. For a start individual fibres take the colour, and some are not touched, for a second the medium doesn’t soak from fibre to fibre, but along fibres (which is how the colour turns up on the other side), and even under 400X, the particles responsible for the colour cannot be seen (I think I did see salt crystals). I’m not keen on gas diffusion, and am more convinced by physical contact. However there do seem to be at least two aspects to the image which must be derived from it, the direct, upper-surface degradation and the indirect, whole-fibre degradation (much paler). 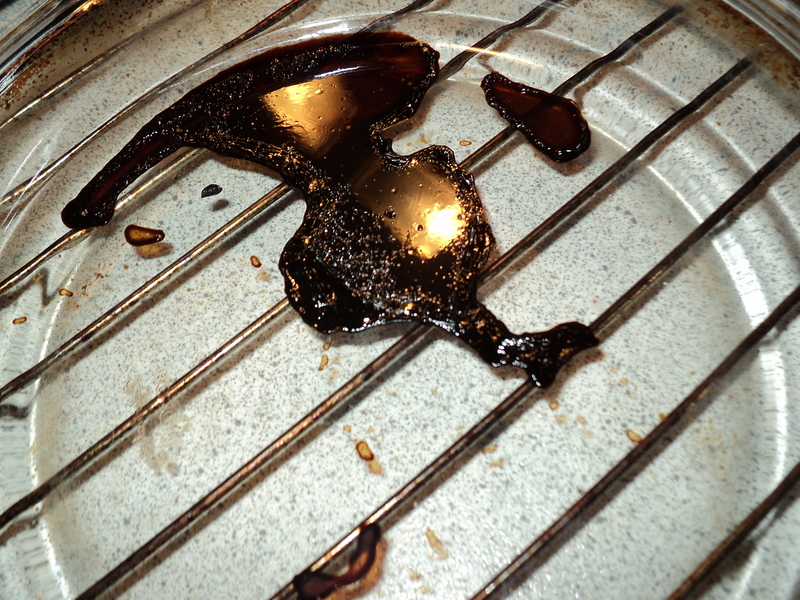 Scorches of various kinds, sufficiently controlled, seem to be able to provide this, but if we postulate some sort of chemical carbohydrate-based pre-treatment of the linen, a layer which degrades when the image is formed, why not also image a layer, transferred by contact, which has already degraded (basically caramel)? Although I’m still doubtful about any of these coatings, it would be interesting to find out if the non-image fibres had the same sort of coating that Rogers thinks is present on the image, but in an un-degraded form. Hey Ho, I’m off to buy a lemon. Easier than chopping my fingers off anyway. And, possibly related, here’s another query. Did anybody take a tape rubbing of the edges of the big diamond-shaped water marks? What are they made of? Presumably something washed outwards to the edge of the evaporation rim, but what? Not image, presumably. Dirt? Concentrated lemon juice? Any ideas, anybody? – all sorts of debris, as all sticky tapes do. The water stain margin at the edge of the Raes corner contained a higher concentration of salts than those in the rest of the Shroud (Adler, http://www.shroud.com/adler2.htm ). 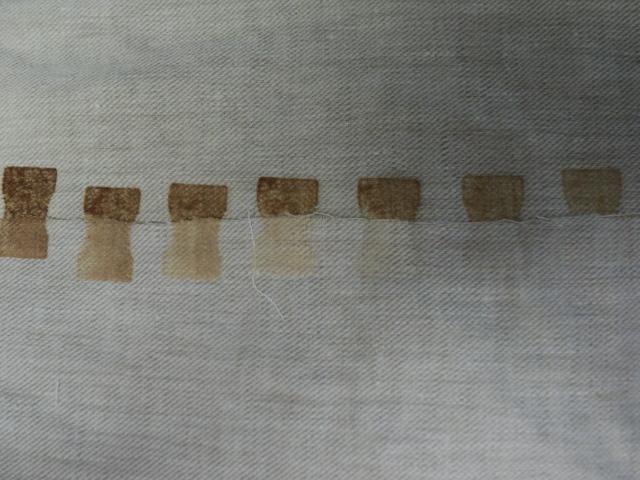 My hypothesis is that the Shroud has a very thin film of starch that was dyed with an acidic dilute madder dye solution (pale yellow). A madder dye solution can be made by boiling dried crushed madder root in acidified water and/or by fermenting. (http://footguards.tripod.com/06ARTICLES/ART33_madder.htm http://en.wikipedia.org/wiki/Madder ). First-century Jews used vinegar for acidification of water (cf. the “vinegar” offered to Jesus on the cross Jn 19,29). Pliny talks about “some small drops of vinegar” (minimo aceti asperu) used in the water for making a fine starch paste. In Latin, acetum was sour wine, but perhaps sometimes lemon was used to acidify water. The colorants of madder are the carbohydrates alizarin and purpurin, which fluoresce in the violet-blue and yellow-red. Together with the light blue fluorescence of the lignin in uncompletely bleached linen, they could explain the faint and mottled yellow-green background fluorescence of the Shroud. The image formation then transformed this film (plus perhaps the primary cell wall), quenching the background fluorescence.